For nearly a century, Le Creuset has focused on providing real, compelling experiences in the kitchen. Our mission is simply to produce the world's finest premium cookware for all those who are passionate about food. 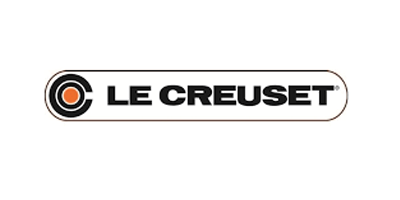 Founded in 1925 in the small town of Fresnoy-Le-Grand in Northern France, Le Creuset continues to produce all enameled cast iron cookware under the same roof in the original foundry. Our artisans employ a 12-step finishing process implemented by 15 different pairs of hands to ensure that our cast iron cookware meets the highest of standards and that it will last a lifetime. Set Your Holiday Table with Le Creuset - 20% Off Select Tableware + Free Shipping on All Orders! Cast Iron Buffet Casserole 47% Off at Le Creuset! Now Priced at $150 + Free Shipping! Shop Le Creuset House Specials for Exciting Savings on Your Favorite Le Creuset Products! Don't Miss Le Creuset's New Flowers Collection - Shop Now! Shop Le Creuset's Favorites Under $250! Shop Le Creuset's Favorites Under $100! Shop Le Creuset's Favorites Under $50! Don't Forget to Add Le Creuset Classics to your Wedding Registry! Save 20% on Non-Stick Cookware from Le Creuset. End of Summer Savings at Le Creuset! Shop Now! Fresh Savings Served Daily! Shop the Le Creuset House Specials! Move the Feast Outside with Versatile Serving Pieces from Le Creuset! Anchor Your Outdoor Entertaining with Le Creuset - Shop Outdoor Entertaining Pieces Now! Savor Summer Flavor - Shop Seafood Stockpots at Le Creuset! Scoop Up Some Summer Flavor - Shop Le Creuset's New Sorbet Collection! Savor Summer Flavor - Shop Le Creuset's Sorbet Collection! Two is Better than One with the Le Creuset 2-in-1 Pan! Registry Classics that never go out of style, Shop wedding gifts from Le Creuset! Reduced Price! - 4 3/4 qt. Oval Dutch Oven w/ Grill Pan Lid now $240. Taste the Flavors of the Caribbean in Le Creuset's New Colorway - Available Now!